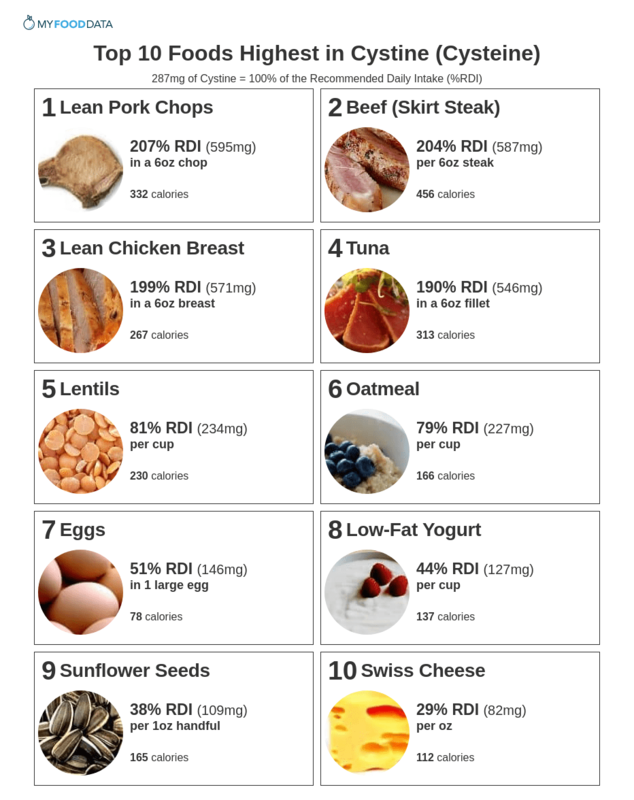 Below is a list of the top 10 foods highest in cystine with the %RDI calculated for someone weighing 70kg (154lbs). For more high cystine foods see the extended list of cystine-rich foods. See all meats high in cystine. See all fish and shellfish high in cystine. See all beans and legumes high in cystine. See all grains high in cystine. See all dairy foods high in cystine. See all nuts and seeds high in cystine. Mechanisms underlying the cardioprotective effect of L-cysteine. Mol Cell Biochem. 2005 Sep;277(1-2):27-31.